DM - Endocrinology, MD - Medicine, M.B.B.S. Dr. Gagan Priya, MBBS, MD(General Medicine), DM(Endocrinology), is a Consultant - Diabetology & Endocrinology at Fortis Hospital, Mohali. She has been practicing endocrinology since 7 years and is a reputed Endrocrinologist in the tricity region. 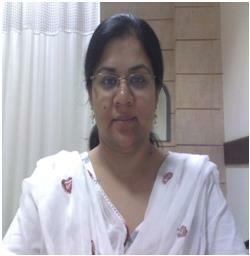 Dr. Priya did her basic medical studies (MBBS) from Government Medical College, Patiala. Thereafter, she pursued her post graduation in General Medicine from reputed SMS Medical College, Jaipur. After a brief stint as Senior Medical Officer at Fortis Heart, Mohali, she was selected for DM Endocrinology at renowned institute AIIMS, New Delhi. During her training in Endocrinology at the nation’s premier medical institute, she gained vast experience in management of difficult and challenging hormonal disorders. She also attained special Fellowship Training in Pediatric Endocrinology from Asia Pacific Pediatric Endocrinology Society in Thailand in 2006. To her credits, she has been awarded by Prof. MMS Ahuja Award for the best DM student in Endocrinology at the 36th Annual Convocation at AIIMS. She has contributed several publications in peer-reviewed international journals and has also dictated book chapters.